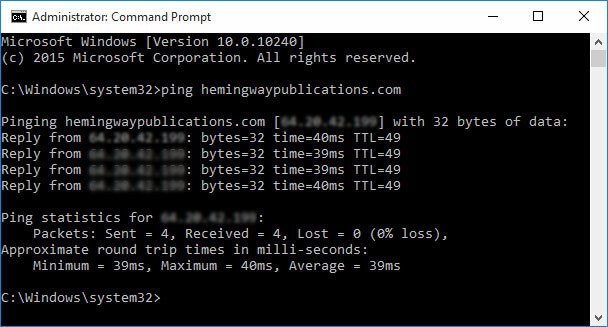 This tutorial will show you how to ping your domain. This will be very helpful for us to troubleshoot any latency or networking issue you may be experiencing. 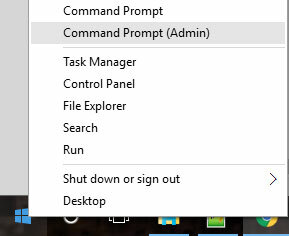 Right click on the windows icon and select "Command Prompt (Admin)"
You can also use the ping -t as show below. This will allow the ping to keep running so if your having random drops you can let the ping run over and over till you see the drop. 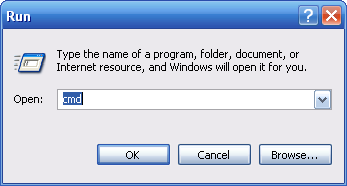 Pressing "Ctrl C" will stop this and get you back to the prompt.